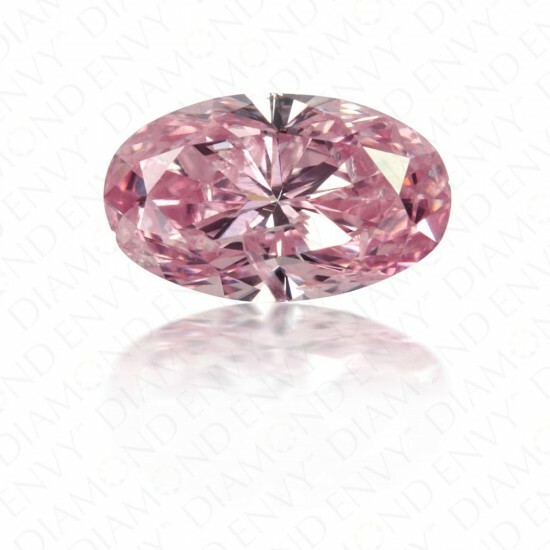 Rare color and tantalizing beauty are perfected in this 0.72 carat I1 oval cut Argyle Natural Fancy Intense Purplish Pink diamond that brings to mind the rich purplish pink tones of a mid-summer ocean sunset. The diamond is graced by an abundance of brilliance and fire. The ideal size of this stone makes it an excellent choice for setting in a ring. GIA-certified and has an Argyle certificate.